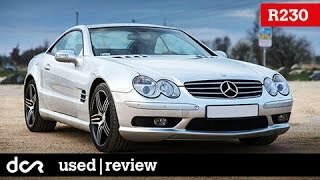 Mercedes Benz SL R230 gets a facelift from PP Exclusive - exterior/interior styling upgrades but no performance enhancements. Check out the high res gallery after the jump. Deep, wide and loud are three characteristics that belong to the real roots of the tuning scene and that are indispensable as a foundation for all tuning work. It doesn’t matter what trend is hot at the moment: good tuning modifications have to be deep, wide and loud. That’s just the way it has to be! 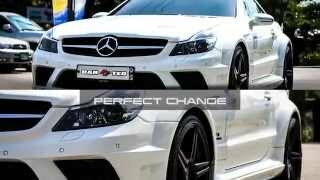 PP Exclusive presents you with the perfect example of deep and wide car tuning work. For width, the tuners have built in the Majestic wheel rim, which has just passed all the TÜV inspections with flying colours so making it available from early 2012 in sizes of 20 to 23 inches. On the SL the front wheels are size 11x20 inch (with 3.5 inch outer rims) and the back wheels are a gigantic 13x20 inch (5 inch outer rim). This combination is fitted with Dunlop tyres of sizes 255/30R20 and 305/25R20. Of course, with this wheel and tyre combination, the wheel arches also had to be extended – we’ve used sheet metal to widen them 25 mm up front and 55 mm at the back, on both sides. Together with the capacity to lower the vehicle by up to 100 mm by means of an electronic module, the PP Exclusive SL takes on a truly brutal wedge-like form. To explain how this little gadget works on the side: The vehicle is lowered by controls on the steering wheel and the current height status can be seen at any time by accessing it on the instrument panel. 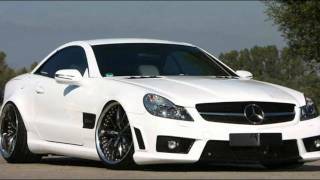 To achieve a nice, rich, loud sound from the rear end of the SL, the tuners from Baden-Wuerttemberg built in an exhaust system made entirely of stainless steel starting right at the catalytic converter and having four oval-shaped exhaust pipes. On request, this sporting exhaust system is also available in a ‘civil’ version. But it doesn’t stop there; a lot of work has been done in the interior too. The driver and passenger seats have been finished in white Napa leather with black stitching. The timber parts of the dashboard panel too now gleam in the colour of the vehicle, and in contrast, the sun visors and the roof interior have been finished in black Alcantara. The SL steering wheel has received a smaller rim, and is now formed straight instead of curved at the bottom. As well as being finished with Alcantara, the rest of the steering wheel has been lacquered in white, except for the star which has been retained in black. Back to the roots! At PP Exclusive we remember the classic values and qualities of tuning and the result is simply breathtakingly beautiful. In addition, the tuning-genes of engineer Gerd Mueller are experiencing an honourable renaissance here at PP Exclusive! Also available from PP Exclusive is the classic and extremely popular Crownjewel light-alloy wheel that is immediately deliverable in 20 inch sizes and has Radinox outer rims of up to six inches in width.